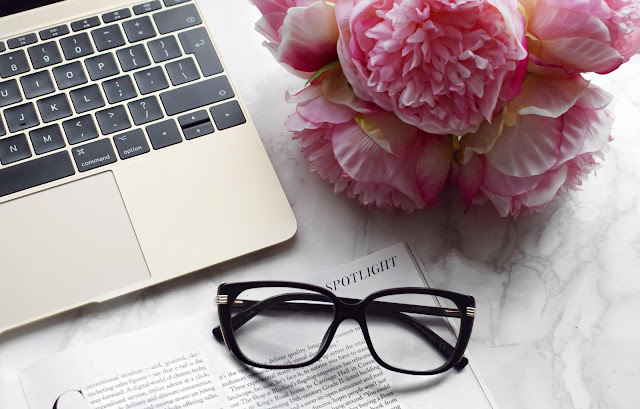 I feel like there is so much negativity around the whole world of blogging at the moment and I decided that for today’s blog post, I would try and spread a little positivity to show that blogging is still a good thing to do. I can remember when I was growing up, it was blogging that people turned to if they wanted to express themselves and have a little space on the internet to themselves. I feel like nowadays, it is YouTube or Instagram that people tend to gravitate towards, but I am still a huge fan of blogging and I want more people’s passion to return and really get into blogging all over again. The first thing that I have to mention in this blog post has to be the opportunities that I have got because of blogging. Not only have I got to meet and talk to incredible people, I have been invited on lovely trips, gone out for out of this world launches and just about everything else in between. I wish that I could accept more of the opportunities but with work and everything else, it just isn’t on the cards at the moment, but you never know what the future is going to hold and with any hope, I will be able to get a little more involved in some of the things that I get invited too. I never thought that because of my blog that I would get to talk to and meet new people, but I am so happy that I do get to. It wasn’t until I was a couple of years into my blog that people really started reaching out to me. It started of just as the odd chat here and there and most of the time it was over email, but that lead onto texting and actually meeting up. I think that it is safe to say that some of my dearest and closest friends are people that I met because of my blog and I will forever be grateful for that. Even if my blog finishes tomorrow, at least I have that! When I first started my blog, I never thought that it would be quite as much effort as it really is. It takes hell of a lot of work to keep things running like a well-oiled machine and there have been many long days and sleepless nights. There have been occasions where I have questioned why I continue to do it to myself, but the long and the short of it is that I absolutely adore it. I have had to push myself on so many occasions, to get things done on time, to keep focused and to keep going and I am so proud of myself for doing it! I cannot even deny that over the years I have achieved some amazing PR packages. I never thought that brands would ever approach me, mainly because sometimes I can be pretty brutal with my reviews. But actually, the first company that ever contacted me to go on their PR list was from a brand who I had torn to pieces in a blog post. I get sent some incredible items that I will either keep, donate or giveaway. I am always so grateful to any brand that sends me an item, even if I know that it isn’t going to work for me, I am more than happy to look into it, review an item and share my thoughts from an honest and neutral point of view. Back when I started my blog up all of them years ago, I did it with the sole purpose to help people out. I never thought that I would make any money or receive any amazing PR, I just want to share my opinions and hopefully help people out down the line. I love that when I read through the comments on my blog, I have people saying that they tried something out because of me or that they will think twice about spending their money on something else. I just want to be helpful for other people and I feel that from interacting with people over the years, that I have actually managed to achieve that. Make sure to leave me a comment down below and let me know some of the things that you love about blogging and why you have stuck at it, even though the number of bloggers out there is dwindling! It is something that I am loving more! That is why I love blogging so much! I am just so happy that I stuck at it! Me too, I cannot imagine ever calling it a day! It is something that I couldn't be without now! It is just amazing, so much good has come from it! It is absolutely amazing, still love it so much! It really can, but it is such a passion of mine! I love this post. I love how many amazing like minded people I've met on this platform too who inspire me everyday! I am so glad that I discovered it!